The District was created by the Texas Natural Resource Conservation Commission on March 21, 1984. 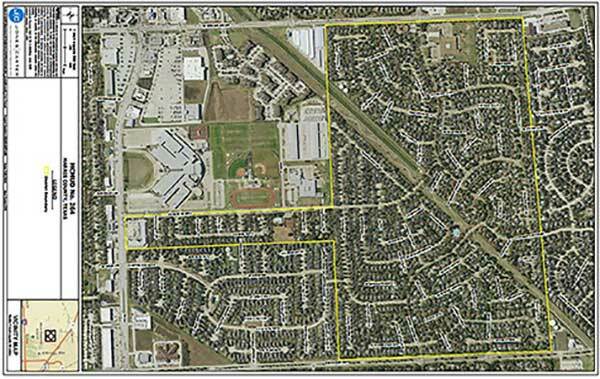 Originally 333 acres, it has grown by annexation to 345.2 acres. It is empowered to purchase, operate and maintain all facilities, plants and improvements necessary to provide water, sanitary service, storm sewer drainage, irrigation, solid waste collection and disposal, including recycling, parks and recreational facilities for residents of the District. It is also empowered to contract for or employ its own peace officers with powers to make arrests and to establish, operate and maintain a fire department to perform all fire-fighting activities within the District. The Board of Directors held its first meeting on March 22, 1984 and the first bonds were delivered on July 25th.